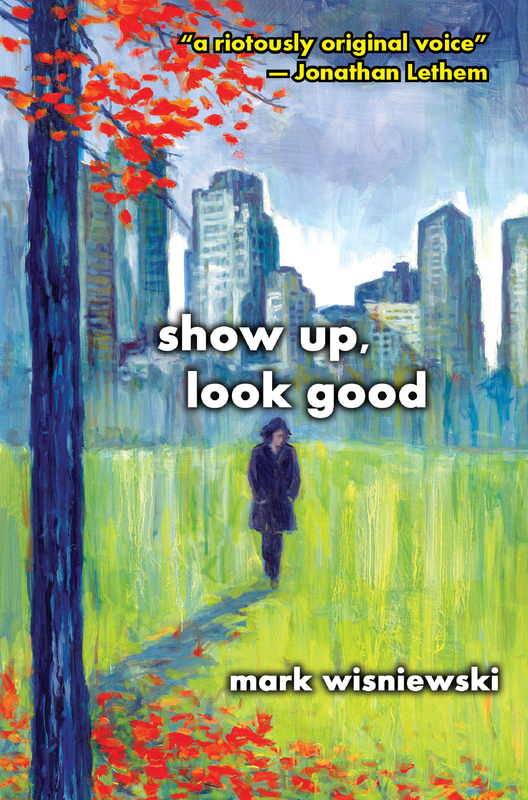 Mark Wisniewski’s most recent novel, Show Up, Look Good, was published by Gival Press in August of 2011. 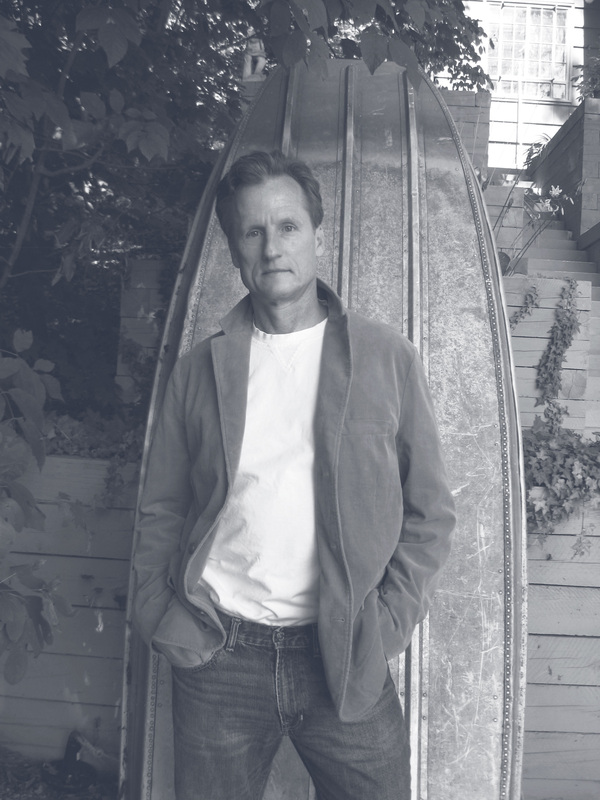 His other published works include the novel, Confessions of a Polish Used Car Salesman (Hi Jinx Press, 1997), a collection of short stories, All Weekend with the Lights On (Leaping Dog Press, 2001), and a book of narrative poems, One of Us One Night. Wisniewski’s fiction has appeared in numerous literary journals, including The Southern Review, Antioch Review, Virginia Quarterly Review, and The Gettysburg Review, to name a few. His narrative poems have appeared in such publications as Poetry International, New York Quarterly, and Poetry. Wisniewski has been awarded two Regents’ Fellowships in Fiction, an Isherwood Fellowship in Fiction, and first place in competitions for the Kay Cattarulla Award for Best Short Story, the Gival Press Story Award, and the Tobias Wolff Award. DA: Congratulations, your recent novel, Show Up, Look Good, has received high praise for being an intelligent book written with a “riotously original voice.” Are you really, as one blurb suggested, part Carson McCullers, part Truman Capote, and part Elmore Leonard? MW: This business of likening me to other authors has been going on since the ‘80’s. First they said I was like Hemingway and Bukowski, those comparisons often made to disparage me as a womanizing drunk. Then it was McInerney and Salinger, with the resultant accusations that I was a snob. I’m glad McCullers and Capote have been tossed in—kind of rounds out my personality, don’t you think? DA: How long did it take to write Show Up? MW: Writing and revision took about three years. Publication took seven. DA: You’re originally from Milwaukee. MW: Yes. A good Polish boy. Actually a good Polish boy who, if born to be a writer, didn’t suspect it until he was older. And didn’t declare himself a writer until he was older still. MW: My upbringing was blue-collar, an aftermath of all four grandparents having immigrated from Poland. Life back then for us was about securing work and meals and having a roof over your head. The roof over the head was huge. The father worked and put the roof over the kid’s head, so if the father wanted the kid to go out and work raking leaves or changing oil in cars or picking up garbage or hunting for night crawlers to sell to neighborhood fishermen, that’s what the kid did. Nobody’s dad said, “Stay under the roof and write and revise and send manuscripts to editors who tend to think Polish people aren’t smart”—if anyone’s dad had said that, he would’ve been called nuts by everyone down at Woidka’s On Tap. DA: Your older brother went to medical school, and you felt pressure to become a lawyer–that seemed to be your father’s plan for you. MW: My father’s and my mother’s. Maybe more so my mother’s. See, you were supposed to keep cash coming in to pay for the roof yet also go to school and ace tests so you could go to more school so you could someday make “big money.” So, yes, there was some parental talk about me becoming an attorney, and the fact that my older brother skated though prep school and undergrad and med school suggested I could likewise breeze toward lawyerhood. My older brother passed away somewhat tragically in his thirties—sometimes I wonder what he’d say about all of this now. DA: What were your thoughts when it came to college? MW: I was the wisecracker in college. Everything in college was stupid. You know: hand me a beer at a party and stand near the stereo with me and the pot-smokers and we’d play Clapton and the Stones and criticize most everyone in the room, who were of course criticizing us. I was anti-Nixon, anti-disco, anti-suburbia, anti-materialism, anti-authority, and probably more than anything anti-myself, but here I was, spending most of my time and money to be part of an institution that, push come to shove, endorsed many of these things. DA: No clue you were going to become a writer then. MW: No. Just a lot of I don’t want to be here. DA: Did you take any writing courses? MW: If there were creative writing courses back then (and, remember, this was back in the mid-seventies, before most people had even heard of an MFA), I was unaware of them. I did take a course in the journalism department taught by a woman named Heather something. She was this good-looking, tough, no-bull teacher, a kind of Mary Tyler-Moore-wannabe slave-driver who required a lot of writing and, if I recall correctly, wore leather boots and lots of mascara and insisted her male students behave ultra-professionally. She stressed the five W’s and forced us to look for story. I suppose you could say she started me down a path. DA: During the summers you gained invaluable experience. MW: Yes. Blue collar jobs in factories. Punching the time-clock. The kinds of jobs where you were required to wear protective eye gear. DA: And then you went to law school. MW: Didn’t want to go, but I was accepted at Georgetown, which everyone around me said was too good an opportunity to ignore. So I went—that is, after convincing Georgetown to defer my acceptance for a year so I could write a novel, which I now knew I wanted to do. It was as if the threat of lawyerdom forced my inner spirit to play its hand career-wise. But the novel I wrote during that year of deferral was rejected by an agent, so off I went, to DC. DA: What was the title of that first novel? DA: Does it still exist? MW: By 1985 there was only one copy left, and during a stint of drunken frustration, on a very windy night, as I left a party where people were doing coke, I flung the manuscript as far as I could over my head. This was at like four in the morning, and the woman I was dating, who I now realize was probably more into drugs than I realized at the time, ran off in her mini-skirt chasing pages of whiteout-dabbed onionskin into these dark suburban yards while I stood on asphalt screaming something presumably profound. DA: What did you scream? MW: I have no idea. DA: You found a home for a while in San Antonio. MW: I lived in a house there with my younger brother and a generous friend of his named Scotty. Rent was low and food was cheap, and days were warm, and back then eighty degrees in February didn’t mean global warming—it meant vacation. DA: You became a substitute teacher there. MW: Yeah. The phone would ring at six or seven or eight in the morning and I’d throw on Salvation Army khakis, walk the half dozen blocks to this high school (couldn’t afford a car), glance at the sick teacher’s lesson plan, then stand in front of the chalkboard and teach Fitzgerald, Rita Dove, or whomever. And if I didn’t know what the students were supposed to have learned, I’d sit on the teacher’s desk and ad lib stories about my Polish relatives, stories these students, being non-Poles raised in Texas, got a kick out of. I think they thought I was a freak. I remember all of us laughing a lot. I was writing and sending out stories then and always getting rejected, and this one kid walks up while I’m on cafeteria duty one day and says, “Mr. W, you should just write one of those stories you tell us in class and try to get that published.” This ended up being the best writing advice anyone ever gave me because it led me to write Confessions of a Polish Used Salesman. DA: Then you took another major step. MW: Yes. Applied to the respected MFA programs, turned down my first choice, Columbia, because they didn’t offer enough money, went to the University of Massachusetts at Amherst because they waived tuition and offered a stipend if I’d teach. I was finishing Confessions, and the novelist Jay Neugeboren loved it and helped me get an agent for it. I was still living in a tiny room and eating a microwaved baked potato with tuna and every night to save money, but things were looking up. DA: You were fortunate to study at U-Mass with John Edgar Wideman. .
MW: He encouraged me to find a narrative voice that wasn’t me and let it say whatever it wanted, the edgier the better. If it weren’t for John Edgar Wideman I never would have drafted Show Up, Look Good. In many, many ways, I owe that guy a ton. DA: And then it was time to go west. MW: The UC-Davis creative writing program got wind of the fact that Confessions had an agent, so they offered me two years of waived tuition and fees and sweet brand new housing and a lot of fellowship spending cash on top of money to teach—and free health insurance—as long as I’d transfer to their program. I hadn’t had a physical for years, so I went. DA: Commenting on your story collection, All Weekend Long with the Lights On, Clarence Major, who taught then at UC-Davis, said you “capture with precision the speech patterns of working-class Americans.” Did you study under him? MW: Yes. And I loved him and still do. He’s a helluva painter by the way, in addition to being the accomplished poet and fiction writer he’s known as. Talent-city, that guy, but what I admired most about him was his level-headedness and inner goodness. By this time I was pretty much despised and badmouthed by most any grad student I’d meet (if you want people to hate you, just show up in an MFA program with fellowships and an agented novel), and the supposed friends I’d made at U-Mass now considered me a traitor of sorts, so sitting in Clarence’s office was bliss. He was just so together. I wish more people were like him. DA: You did time hopscotching the about the country as a teacher. MW: The adjunct mill wherever they would have me. You know: one-year contracts, no health insurance, you leave one town and drive your crappy car halfway across the country and rent another tiny apartment and, without a single promise about your future, get assigned six classes, most beyond capacity. At this one university—and I kid you not—I was scheduled to teach a section of comp that, according to the attendance sheet I received just days before the first day of a semester, would meet in two different rooms at the same time. A total of something like sixty-four students were enrolled. For a comp class. When I went to the registrar’s office and said, “I think we have a clerical error here,” they looked at me as if I were asking to be fired. I asked them how, physically speaking, I could possibly be in two rooms at the same time, and they suggested I get students in one room to begin a writing exercise, then walk down the hall to the other room to get those students doing the same exercise, and so on. Of course none of us brought up the fact that, for this one class, I’d be grading 64 five-page papers every two weeks—in addition to the papers I’d need to grade for the other five classes I was scheduled to teach that semester for a measly $18K a year. Nor did the administration and I bring up the fact that now that I hadn’t just jumped through this ridiculous hoop of theirs with my mouth shut (and without caring about their students’ educations), there was no way they’d give me another one-year contract after that academic year was over. DA: You ended up in Scranton, PA.
MW: For the 93-94 academic year, which was also the coldest year on record in Scranton history. That’s cold. And that was the year my brother died. And I think Bukowski died that year, too. By April or so of ‘94 I was so depressed I’d drive for miles to get away from things, sometimes winding up in Manhattan. I was on my second agent then, this one a woman supposedly more of a big-shot than the first, but she couldn’t sell Confessions either, though she did get me an inch away from being a joke-writer for David Letterman. There was a month or so then when I’d buy the Times every morning (yes, they had it in Scranton) and write jokes for Dave and fax them over to his offices, then stay up and watch to see if he’d used any, as well as wait all day for the phone to ring to see if he’d hire me full-time, which of course would be my ticket to leave PA. And the phone did ring, and I did talk at some length with a well-known producer whose upshot was that they were interested but I needed to wait longer and keep up the good work. But the phone never rang again. Or if it did, I’d already broken up with my girlfriend then (mutual depression, by the way, not a very good recipe for any relationship) and left Scranton for Manhattan, where I supported myself for a while by scalping tickets to the Letterman show itself. DA: Any specific plans for the future, or are you just going day to day and writing? MW: Tomorrow I travel to NYC to watch horses run at Aqueduct with another under published, underemployed, award-winning fiction writer. Alcohol will be involved, and of course there’ll be gambling, and with any luck there’ll be plenty of laughter. What happens after that depends on how much I win or lose.